This means that the old saying, “Sticks and stones may break my bones but words will never harm me” is simply not true. Words are words and deeds are deeds, but words lead to deeds. That's why words are so dangerous. When a name conjures up imagery of violence, oppression, and hurtful behavior, it is time for the name to go. True, there is history and nostalgia in the name and history of the team. Rabbi Frank's father has had tickets since the 1960s and has taken him to games since he was a child. They are part of his family history. He has fond memories of football moments and loves the generational bonding that takes place on NFL Sundays. But after countless letters to The Washington Post and to Redskins ownership with no response, he now refuses to wear any clothing with the team logo or the team name. When nostalgia and correcting past wrongdoing come in conflict, there is no doubt as to which side one must be on. The Jewish Talmud attributes the blessing of a long life to those who are sensitive about the use of a nickname in referring to other people. So too, the Talmud teaches that one who is not sensitive about the use of a derogatory nickname will never have the ability to ascend from the depths of gehennim - or hell, as Gentiles might call it. We don’t believe that these statements are literal. But we do believe that they are here to remind us of the importance of being sensitive to the dangers of seemingly harmless nicknames. These statements by our sages are meant to allow us to try to stand in the shoes of others and listen to those who are offended by insensitive language. Dan Snyder, the owner of Washington's football team, knows this better than anyone. 1) Work to make our religious institutions Redskins-free zones. Refrain from using or displaying the name or derogatory logo in any public areas, public discussions, forums or institutional programs. 2) Teach our students in the classroom about why we have taken this position on a matter that doesn’t immediately present itself as Jewish. 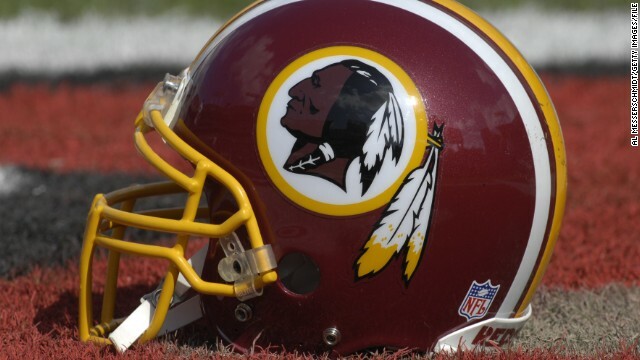 3) Do not purchase any Redskins merchandise that displays the name or derogatory logo. We look forward to the time when the name of the Washington football team will be changed and thus the sports team can again bring our city to a beautiful place, a place that represents the best of what a sports team can offer a city, a unifying force that brings us together and brings joy to our lives. Until the team drops its logo and changes its name, we will watch with sadness as the potential for unity and harmony is blocked by a symbol of bigotry. Rabbi Aaron Frank is high school principal of Beth Tfiloh Dahan Community School in Baltimore. Rabbi Shmuel Herzfeld is rabbi of Ohev Sholom, the National Synagogue in Washington. The views expressed in this column belong to them. And the ratings are in. This **IS** he most ridiculous article in living memory. Well if we're on the subject of offensive sports team names, then I guess it's time to start protesting the nickname of the New York Yankees. People of the South (myself included) are highly offended if called such, so it needs to go!